Integral to the museum’s mission of interpretation is stewardship. We are tasked with preserving and improving Sam Hill’s impressive legacy; our job is to make sure that the buildings and grounds comprising 5,300 acres of hills, overlooks, ranch lands, ponds, landscaped gardens, historic roads, buildings and structures, endure for future generations. To accomplish this, the museum’s Board of Trustees has created a campaign to build a reserve fund for Maryhill’s future: Preserving the Magic. The immediate goal for the campaign is to build a board-restricted fund of $2.5 million. This fund will enable Maryhill’s leaders to create a planned, strategic approach to upgrades, repairs, renovation, and maintenance, ensuring that the museum and other beloved aspects of the site and surrounding ranch are preserved in excellent condition for many years to come. 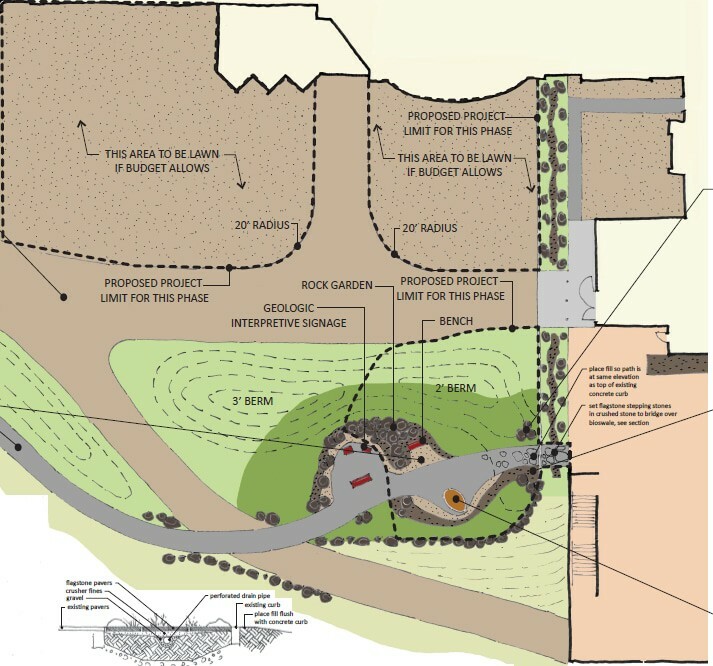 The Stucco Restoration Project and the Westside Landscaping Project, both described below, will fall under the purview of the Project Reserve Fund. This project, with an estimated cost of $1,394,000, will address the underlying causes of water damage to the historic building by removing old repairs and applying new solutions to the problems. The stucco exterior of the building is nearly a hundred years old and has suffered from many years of wind and water damage. A series of repairs dating back to the 1950s, though well-intentioned, did not address underlying causes of the problem. 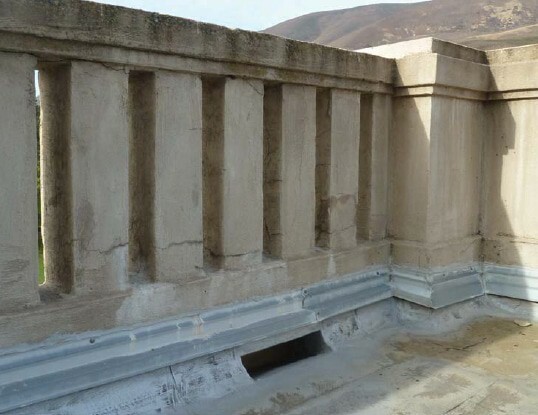 After studying the structural issues and the damage, this project will repair stucco, ramps and roofs; restore the original surfaces; and repaint the museum. To prevent future water damage, flashings and gutters have been redesigned and will be rebuilt so the building sheds water and the seams and joints are impervious. This should ensure that this historic building will last another 100 years. Architectural Resources Group, experts in historic restoration, studied the issues and devised the plan. The work will be completed by Schommer and Sons, Construction who are extremely knowledgeable about the museum and its systems from past work, including the construction of the Mary and Bruce Stevenson Wing. Construction is estimated to start early in 2016 and be completed by the end of the year. Damage to west elevation balustrade. Photo by Architectural Resources Group, San Francisco. Maryhill Museum of Art recently received the fantastic news that the State of Washington has given the museum a $1,000,000 lead gift to support the restoration. In order to utilize the lead gift, the museum must raise the remaining dollars to complete the project. Your support is vital. Please consider a gift. This project is part of the museum’s Preserving the Magic campaign to fund ongoing and needed projects at Maryhill and to ultimately create a Project Reserve Fund to ensure that the museum has the capacity for enhancements, preservation and conservation of its facilities, gardens and ranch well into the future. If you would like to speak to someone about this project, transfer stock or securities or wish to suggest another way to help, please contact Colleen Schafroth, Executive Director, at 509-773-3733x23 or colleen@maryhillmuseum.org. You may also make a donation online. 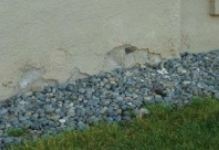 Stucco loss at base of north wall. Photo by Architectural Resources Group, San Francisco. The museum’s Westside Landscaping Project will enhance views and open up additional areas to explore adjacent to the museum. The plan calls for walkways, some lawn and drought-tolerant plantings that emphasize Maryhill’s natural environment. Plants include of Western fescue, blue bunch wheat grass, blanket flower and buckwheat in the beds, and accent plantings of indigenous wildflowers including yarrow, cone flower and lavender. 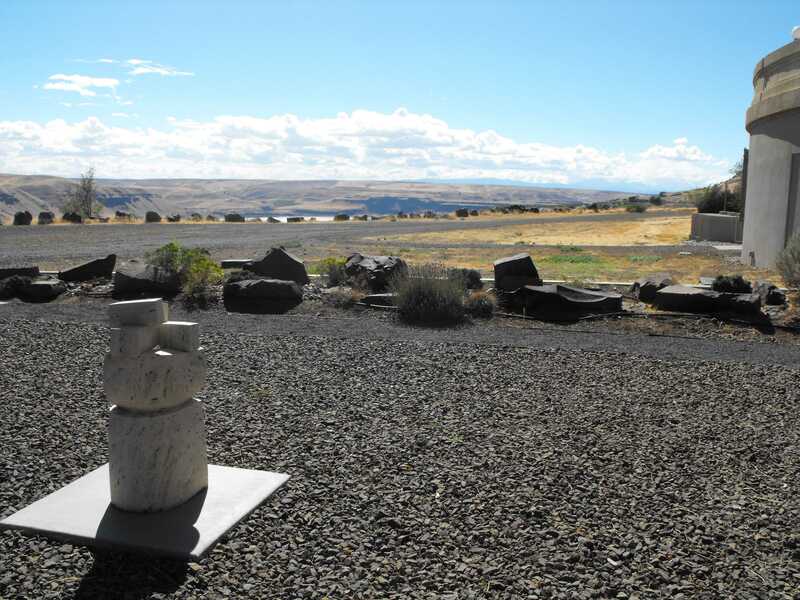 There will be a rock garden of site-harvested basalt, stepping stones across a bioswale capturing and recycling rainwater from the patio, and interpretive signage about the Gorge geologic formations visible from the overlook. Outdoor sculpture will enhance the entire project. The entire project is estimated at $85,000. The first phase – installation of curbs, walks, irrigation and lawn on the north side of the access road is underway and scheduled for completion this fall at an estimated cost of $35,000. Funding for the north part of the design infrastructure phase is in hand, thanks to Fred and Cindy Henchell, Byron and Sue Henry, Ned and Sandy Kice, Kim and Char McGinnis, Steve and Mary Nygaard, Craig and Kelley Schommer, Schommer and Sons and Ken and Joceyln Weeks with in-kind support by the landscape design and construction firm of MacKay Sposito of Vancouver, WA, and from the Celilo Inn and Comfort Inn, both of The Dalles, OR. Donors to the Preserving the Magic campaign will be recognized on the main Maryhill Museum of Art reader board, in the quarterly printed newsletter, and through the online e-news and press releases and on name plaques throughout the Museum and grounds. Interested in donating or learning more about this exciting project? Please consider a transformational gift to Maryhill’s Preserving the Magic fund and ensure that this extraordinary place will remain magical for generations to come. If you would like to make a contribution or hear more about the campaign, please contact Colleen Schafroth, Executive Director at 509.773.3733 x23 or at colleen@maryhillmuseum.org. You may also make a donation online. Looking west from Maryhill with Don Wilson’s sculpture Franklin’s Tower in the foreground.